It is very important to us at Kolarsick Builders Inc. that our customers are happy and comfortable in their homes long after we're gone. We care deeply about craftsmanship and we respect the unique needs of each homeowner. We assess your needs and assemble the best team for your project. And, we're there everyday until it's complete. Equally important, we are there after your home is complete to answer questions and help with any service related issues. Some of our Sub Contractors have been with us for over 20 years. Their excellence and attention to detail make them a perfect fit with Kolarsick Builders' building philosophies and values. In a house, that means using tried and true, traditional practices; in a business relationship, it means being conscientious, honest and dependable. Beginning a home construction project can be daunting, and we know how important it is to have complete confidence in your Builder. You want to know that we have the knowledge and experience to guide you through every step of the process, and that we will see the job through to completion. At Kolarsick Builders Inc. we do those things, because we respect your vision, your time and your budget. 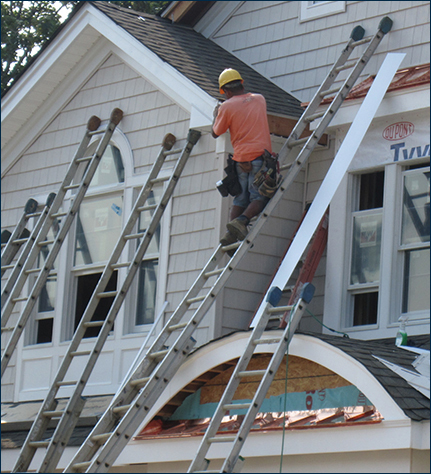 For over 30 years, Kolarsick Builders Inc. has been providing construction services to the Monmouth, Mercer, and Middlesex Counties. Paul began building custom homes in 1981. In 2003, his son, Noah, joined the Family Business. Paul is a Shrewsbury native with deep ties to the surrounding communities. He earned a BA in 1976 from The College of the Holy Cross. After spending a few years working for a heavy construction company Paul decided to branch out into custom home building. Having weathered the fluctuations in the economy over the past 30 years, both boom and bust, Paul has maintained a successful business due to his experience, honesty, and reputation. Paul is an active member of the Board of Trustees at Monmouth Beach Bath and Tennis Club. He oversaw a major renovation of the grand old building in 2006, and is currently overseeing all repair work as a result of Hurricane Sandy. Noah Kolarsick grew up learning the business from his father, Paul. As far back as he can remember, he worked summers with Kolarsick Builders and, after graduating with a BA from Salve Regina University in 2003, came aboard full-time. Today, Noah is a homeowner's point of contact throughout the duration of a project. Noah provides project estimates, coordinates crews, schedules subcontractors and manages ongoing costs. He acts as a liaison to a project's architects, local municipal boards and permitting authorities. In addition, Noah is a licensed Realtor with Mc Cue Real Estate in Rumson, and manages properties for landlords and homeowners. Paul and Noah value their customer relationships, and together they ensure that every homeowner will be satisfied and comfortable in their home long after the project is complete.